These are just like hurdles, as hurdles are placed to slow down racer on a track similarly resistors are placed in a circuit to slow the motion of electrons. 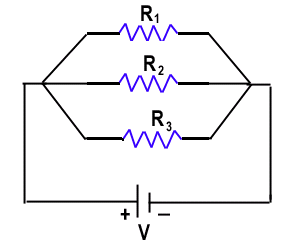 A german scientist Ohm gave ohms law to describe relation between current,resistance and voltage. So when current increases resistance decreases and vice versa. Resistors are connected in following different combinations. Parallel means side by side so when resistors are connected head to head this is called as parallel combination of resistors. So the equivalent resistance is the resistance which circuit impose and more logically it is obvious that the value of equivalent resistance is less then the smallest known resistance in the circuit. When we have a number of resistors having high values,we connect them in parallel to get smallest value. Calculate Re in above combination? So this is the equivalent resistance of series combination and is the sum of all resistance. So when we have a number of small resistance we connect them in series to get higher resistance. 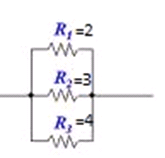 The equivalent resistance is greater than highest resistance in circuit. Calculate Re for above combination?